Going through my Halloween images, I settled on the hat from plate BM-209. 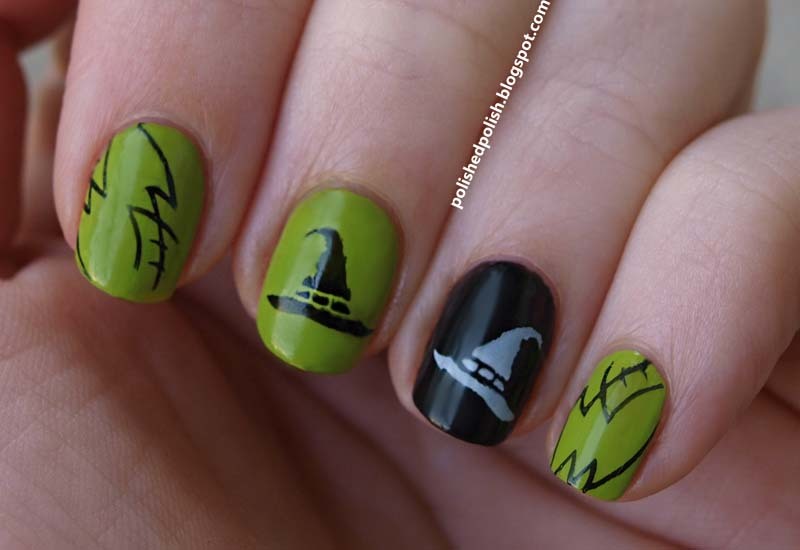 Using colors inspired by Wicked, I stamped the hat in black for Elphaba and in white (with a stamper to stamper transfer) on the accent finger for Galinda. Anything other than the hats seemed to be too much. So on the other fingers, I used a generic design from Shany SH15. On top of the green, it ended up with a Frankensteinish effect.